British Airways PLC and Spanish airline Iberia SA said late Thursday they have reached an agreement to form a new company in which BA would hold a controlling 55 percent. The two companies, which together posted euro15 billion ($22 billion) in revenues last year, are calling the deal a planned merger. In a joint statement, they referred to the combined group as TopCo, and said it would be registered in Spain but have its financial headquarters in London. It would be listed on the London Stock Exchange, and may have a secondary listing in Madrid. 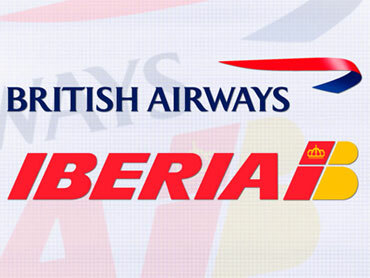 British Airways shareholders would hold 55 percent, while Iberia's would have 45 percent. They said they expected the deal to produce savings of around euro400 million ($594 million) after five years. The deal should be completed in late 2010, but would still need approval of shareholders and regulators. "The merger will create a strong European airline well able to compete in the 21st century," BA chief executive Willie Walsh said. "Both airlines will retain their brands and heritage while achieving significant synergies as a combined force." Walsh would become CEO of the new group, while Iberia CEO Antonio Vazquez would be chairman. The announcement ended days of feverish speculation that has sent the companies' shares soaring in recent days. The pair began talks about a possible tie-up back in July 2008 in response to slowing passenger demand, but those discussions faltered over several issues including BA's large pension fund deficit and the proposed structure of a merged company. The two companies said that, under the terms of the deal, neither Iberia nor TopCo would provide any guarantee or use any cash or credit facilities to fund BA pension schemes. Iberia also still reserves the right to pull out of the agreement if it is not satisfied with any deal that British Airways makes with the administrators of its deficit-ridden pension fund. BA, the third biggest airline in Europe, last week reported a net loss of 208 million pounds ($346 million) for the six months ending in September, its first-ever loss in the period, as revenue fell 13.7 percent. The airline has begun a drastic cost-cutting drive, axing meal services on short-haul flights and announcing sweeping job cuts and pay curbs that have raised the threat of strike action by its 14,000 cabin crew. The airline has already slashed 2,500 positions between June 2008 and March 2009 and plans to cut another 1,700, freeze pay for current staff and offer lower wages for new employees. Iberia, meanwhile, is also cutting costs after losing euro165.4 million in the first half of the year. Its board last month approved a plan to freeze hiring through 2012, freeze salaries for all employees in 2010 and 2011 and offer early retirement for flight attendants over the age of 55.